Obtaining broad access to banking services remains a top priority for the cannabis industry. Although small gains have been made, most of them have involved small and local banks that carve out a specific niche in the industry. These banks are mostly islands unto themselves. While this is laudable, the niche market is closed to most due to lack of proximity. More important, banking services, even when available to the marijuana sector, are extremely limited in scope and often expensive. I’m taking a broad view: certainly, there are some exceptions. And to be clear, I’m not punching on the marijuana banking industry. To the extent that it exists at all, its banks have overcome Herculean tasks- administrative hurdles, expensive lawsuits, and a conscious acceptance of risk that is unprecedented in the banking world. I applaud the banks that have reached out to the marijuana sector. The problem is the federal government. Specifically, the primary reason there is a dearth of real banking options for the industry is the fact that marijuana remains an illegal drug at the federal level. Although banks are chartered through individual states, there are constrained by a web of regulatory and practical restrictions at the federal level. Since marijuana is illegal banks have minimal incentive to offer any, much less robust, banking services to the industry. Technically, banks can offer services to marijuana businesses. Four years ago FinCEN issued a memo called “Bank Secrecy Act Expectations Regarding Marijuana-Related Businesses” which purported to clarify and bless marijuana banking. It did neither. Instead of issuing clear and coherent guidelines to provide a “safe harbor” for banks that chose to work with marijuana businesses, it instead indicated that banks should exercise “thorough customer due diligence” and gave a non-exclusive list of seven due diligence guidelines for banks to follow. The memo spent several pages discussing Suspicious Activity Reports and a long list of “red flags” that banks should be aware of with respect to marijuana businesses. In short, the FinCEN memo provided almost no hard and fast rules for banking marijuana customers; it gave a long, detailed, and non-exclusive list of due diligence pointers and red flags; and it provided no safe harbor or comfort to banks (or their individual Directors) that they would be immune from prosecution. 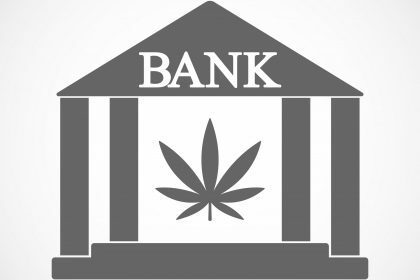 To most banks, this confirmed that they should steer clear of banking customers in the marijuana industry. In fact, as I reported in December, the stigma and concern about banking federally illegal marijuana businesses has bled over into the federally lawful industrial hemp industry: many of my hemp and CBD business clients have difficulty finding reasonable banking options (to say nothing about commercial loans), despite the fact that they are both federally and state compliant. Banks are often hesitant to interact in any capacity with revenues derived from the cannabis plant, legal or not. The result is the well-publicized fact that an entire legitimate industry functions mostly on cash and has minimal, if any, access to standard types of commercial loan products. This is totally unsustainable. Enter the Senate and, surprisingly, the Trump Administration. I’ve buried the lead in order to give some necessary background, but this week’s biggest marijuana news story is a proposed bi-partisan amendment to a bill that will ease restrictions imposed on financial institutions by the 2010 Dodd-Frank Act. As reported by Forbes, the amendment “would prevent federal officials from punishing a financial service provider solely because the depository institution provides or has provided financial services to a cannabis-related legitimate business”. That, combined with testimony by Treasury Secretary Steven Mnuchin before a House Committee in February in which he said that the issue is at the “top of the list” of his department’s concerns, means that we may see much needed banking reform for the marijuana industry this year. Then again, don’t hold your breath. Despite years of appeals and proposals from both sides of the aisle, Congress as a deliberative body has seemed impervious to this situation. This article was originally published in the Cannabis Law Report, March 9, 2018. Thanks to Sean Hocking, John Taylor, and the entire CLR group for their excellent journalism about the cannabis industry. Great article Rod. Keep up the good work. Thanks, Bill. I appreciate all of your work.